I remember that day when I stood nervously next to a pew, feverishly dialing my phone and hoping that either of my parents would pick up the phone. That day was not like any other day. I woke up early so I could change my clothes and get ready for the days affairs. I remembered putting the video camera in front of me so I could remember every detail possible on that day. The phone rang five or six times before I heard that all so familiar voice. It was my mom. I told her it was me and she asked me how I was. I told her I was nervous and that I couldn’t feel my legs. She probably laughed from the inside but she went on encouraging me. A couple minutes into the convrsation, she handed the phone to my dad and I almost brke down from there but I was able to keep my composure. I was getting married that day and due to uncontrollable circumstances, none of of my family was there with me. Nevertheless my parents were so gracious during that day in expressing their happiness with my decision. Probably hurting because they weren’t there yet still very happy for me. That was five years ago when I pledged my life to live for another and not only for my own. Five years ago I was married and never looked back. 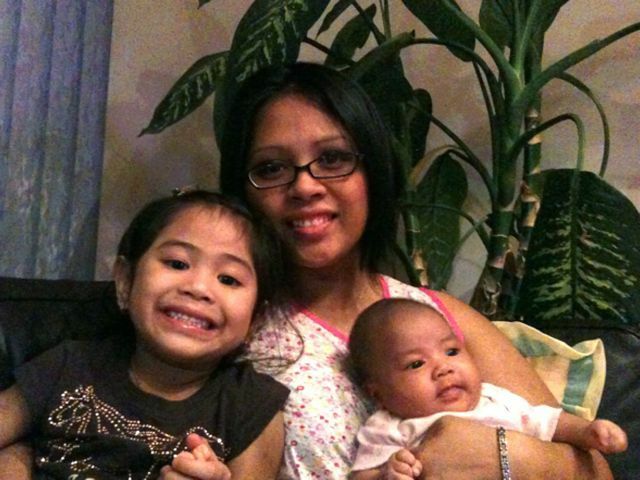 Emma and Zienne are blessed to have you as their mom, and I am blessed because I have you as my wife, lover and friend. I love you mahal. I love you even more as the years pass by. Or as Emma calls it, Happy Sweethearts Day!